The industry of hobbyist 3D Printing is always exciting, with constant improvements, upgrades and iterations being introduced on a regular basis by dedicated companies like Creality 3D. And in the spirit of constant evolution of the industry, Creality have just recently introduced their new Creality Ender 3 Motherboard V1.1.4, which is an upgrade from the previous Creality V1.1.3 Motherboard, featuring slightly improved power delivery, better future-proofing, as well as an updated ATMEGA chip to ensure a longer lifespan before becoming irrelevant or outdated. A change of the FTDI chip to a CH340G chip, which we expect is because the previous FTDI chips were high quality clones instead of the originals, and thus has the chance of becoming blocked with current and future FTDI driver updates. With the CH340G chip, however, this is no longer a concern, as the CH340G drivers are open-source, allowing clones and reverse-engineers chips to stay up to date and not get blocked from future updates. An updated ATMEGA1284P chip, which seems to be made to a higher quality specification, with an updated design to ensure the chip stays current in modern times. The addition of Smoother, quieter stepper drivers, which we have not yet confirmed, but Creality have stated that they are substantially more “silent” in operations than the previous drivers used. So if these upgrades/updates sound good to you, then board is a great choice to upgrade your Creality Ender 3 with. 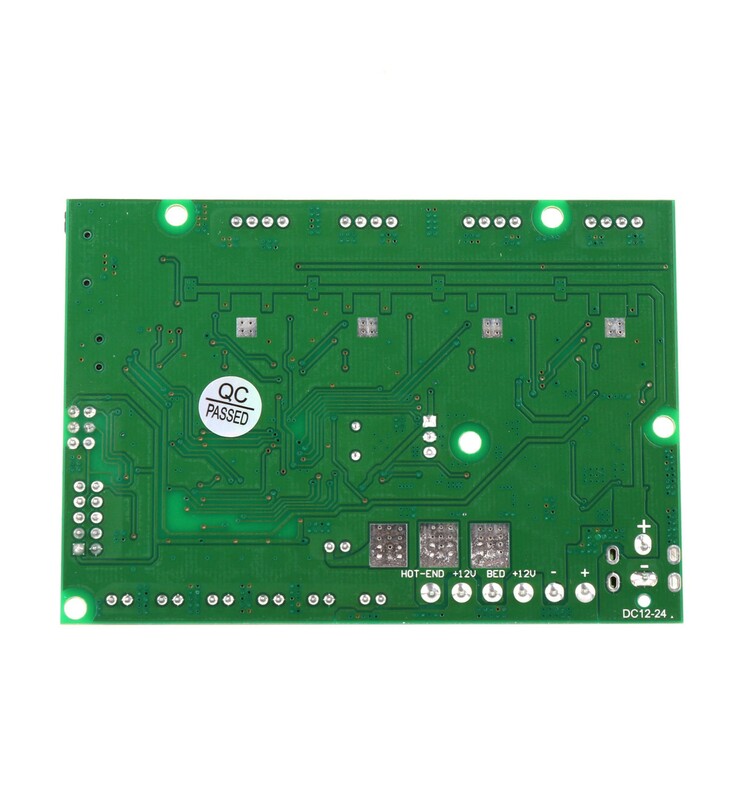 However, it’s important to note that, while the V1.1.4 motherboard is technically compatible with the Ender 3 Pro and the Ender 5 as well, Creality 3D have taken the initiative in flashing these particular models with the ideal Firmware for the standard Creality Ender 3 3D Printer. This is fantastic, as it not only ensures you have the ideal Firmware for your particular machine, but it also saves users a lot of time and effort in the case that they want updated Firmware to work with. 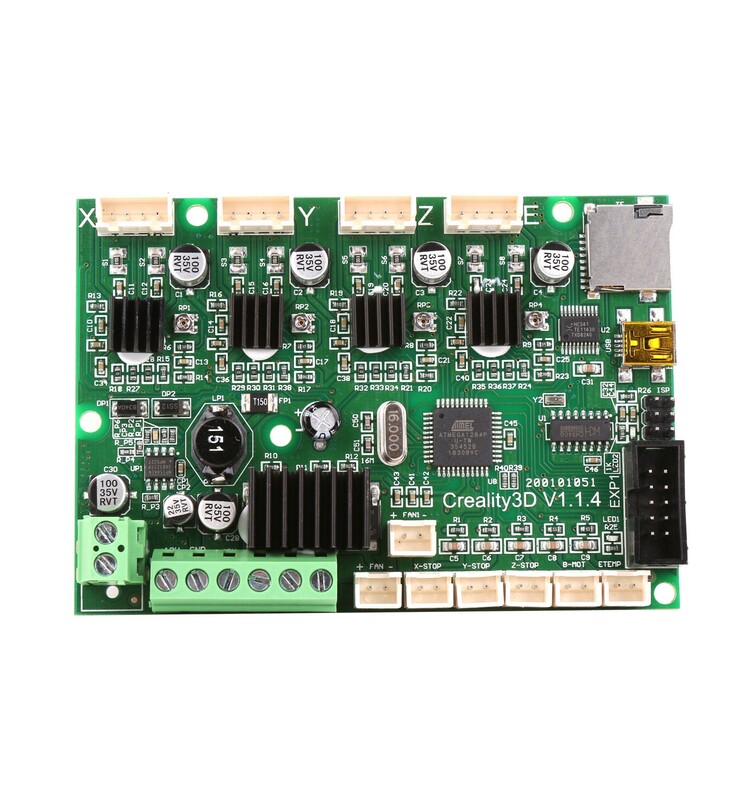 Please Note: This Creality V1.1.4 Motherboard has been Flashed with Ender 3 Firmware, but if you’re looking for alternative motherboard versions or boards with different Firmware versions flashed onto them, be sure to take a look at our Controller Boards section for the full list of options. 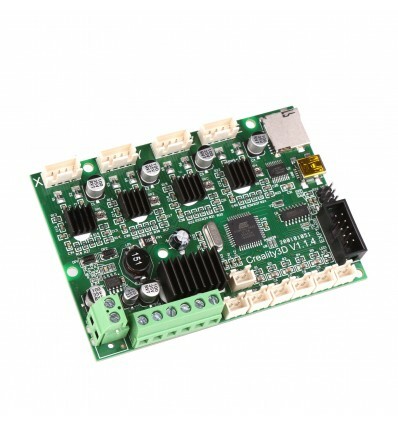 Although these Controller Boards are certainly compatible with other 3D Printers like the Ender 3 Pro and Ender 5, they have been pre-flashed specifically for the Creality Ender 3 Original. As such, we recommend this board only for the Ender 3, as modified Firmware could certainly act against you if you try to use for other printers instead.